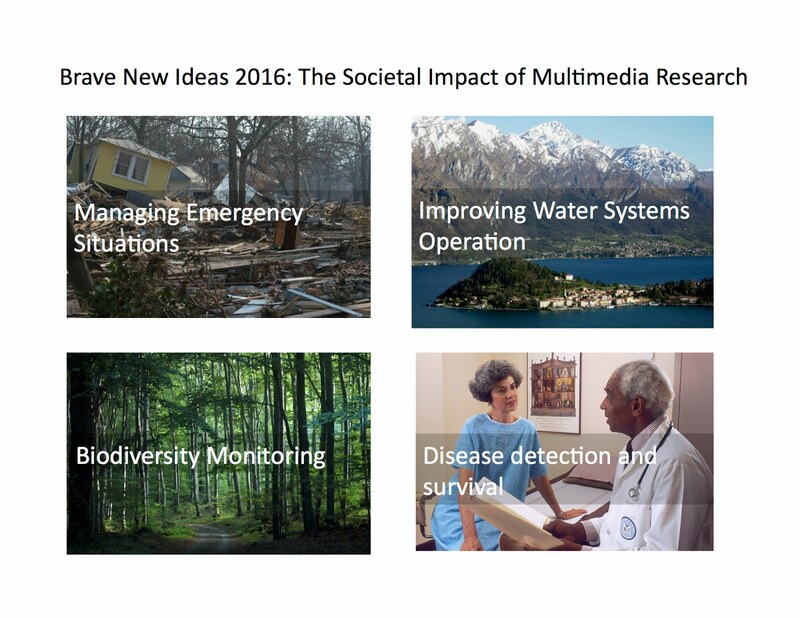 At ACM Multimedia 2016, the Brave New Ideas Track was devoted to the theme "Societal Impact of Multimedia Research". In the Call for Papers, we challenged authors to be brave in pursuing topics that have a direct impact on people's lives. 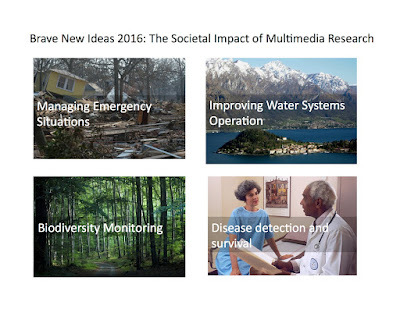 What is brave about multimedia research with societal impact? The answer is simple: it takes much more time. To pursue work with direct societal impact it is necessary to work together with other disciplines, create new data resources, and develop new evaluation methodologies that demonstrate success with respect to socially relevant criteria. It also takes time for researchers to reach the insight that important new scientific questions arise from directly attempting to create solutions for societal problems. For example, concerns about privacy are currently motivating researchers to turn away from pursuit of "data greedy" algorithms to study how to get more out of less data. Alexis Joly, Hervé Goëau, Julien Champ, Samuel Dufour-Kowalski, Henning Müller, and Pierre Bonnet. 2016. Crowdsourcing Biodiversity Monitoring: How Sharing your Photo Stream can Sustain our Planet. In Proceedings of the 2016 ACM on Multimedia Conference (MM '16). ACM, New York, NY, USA, 958-967. [ACM DL link][paper][slides] See also: the Pl@ntNet App.